DynPatch.exe is a Dynamic Link Library file whose purpose is to save the space in your computer's RAM. It also stores important information that how the program or a Windows service needs to run. DynPatch.exe error happens when your computer files from your computer go missing, deleted or broken. By default, it is located in C:\Windows\System32\ (Windows XP, Vista, 7,8) or the installation directory of the computer. How to check if your computer is infected with DynPatch.exe malware? How to remove the DynPatch.exe file from system using Comodo Antivirus? 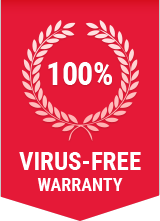 Step 1: Download the award-winning Free Internet Security. Step 8: Comodo Antivirus will remove the DynPatch.exe virus from your computer including all other malwares!